The statewide gas price average in Texas is now $2.76 for a gallon of regular unleaded fuel, according to the AAA Texas Weekend Gas Watch. That price is two cents less than last week and is 57 cents more per gallon compared to this day last year. Of the major metropolitan areas surveyed in Texas, drivers in Midland are paying the most on average at $3.10 while drivers in Brownsville and Harlingen are paying the least at $2.63 per gallon. The national average price for a gallon of regular unleaded is $2.94, which is two cents less than this day last week and 58 cents more than the price per gallon at this same time last year. For the first time in three months, the national gas price average went down week-to-week, which will certainly come as good news for many drivers. In a recent survey, nearly 80 percent of Americans said gasoline selling for $3 a gallon was too high. Oil prices have been volatile recently. While this is playing a role in the trend of stable or slightly lower gas prices, most market analysts note it’s unlikely oil prices will drop enough to have a major impact on lowering gas prices this summer. 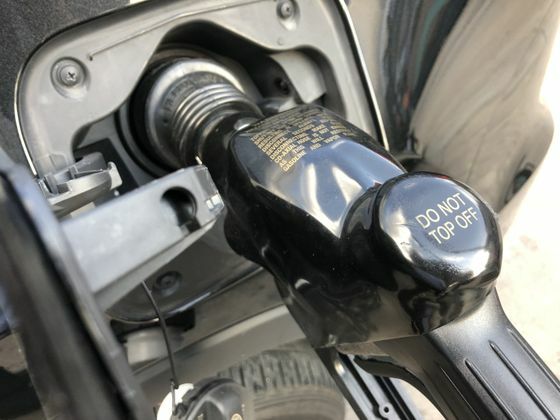 The last time the statewide average in Texas did not increase week-to-week, in the AAA Texas Weekend Gas Watch report, was nearly three months ago on March 15 when the price remained flat. The last time Texans saw the statewide average decrease was February 22, when the week-to-week price for regular unleaded dropped four cents. News that OPEC could possibly reverse its supply reduction agreement with its partners, which has been in place since the beginning of 2017 has had an impact on oil prices. The agreement, which includes production from Russia, is set to expire at the end of this year. However, member countries of OPEC and Russia have been discussing potentially easing supply limits ahead of the agreement’s dissolution. If OPEC and its partners decide to increase crude output, they will likely announce the decision on June 22 at the next OPEC meeting in Vienna, Austria.